Last week, we caught up with some AmeriCorps volunteers working out at Camp Conowingo. The team has been busy cleaning up camp sites and trails, painting Bell Manor, and making other improvements in preparation for the camping season. 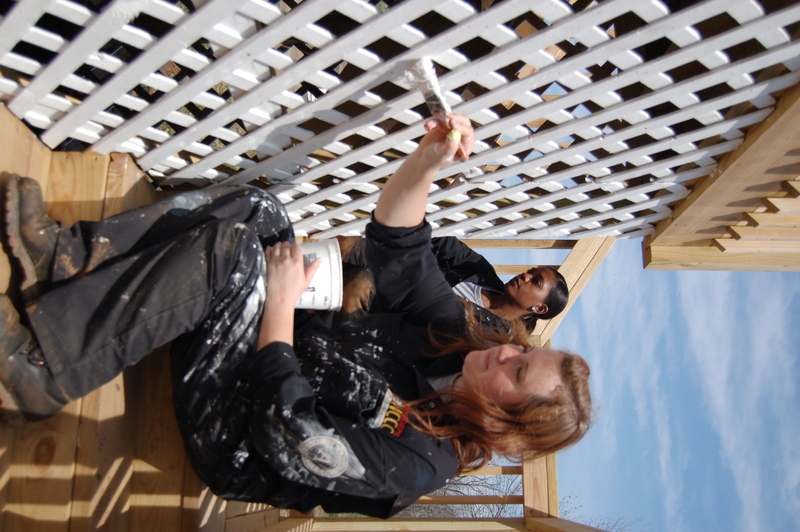 Whenever we ask a team of AmeriCorps volunteers what inspired them to join, each of the individual responses echo a commitment to service and a desire to help others. When asked whether AmeriCorps service is worth all of the hard work and the year away from home, we are always met with a resounding ‘yes.’ This team was no different. To learn more about AmeriCorps service visit www.americorps.org. Thanks so much to the AmeriCorps Team for all of their hard work!